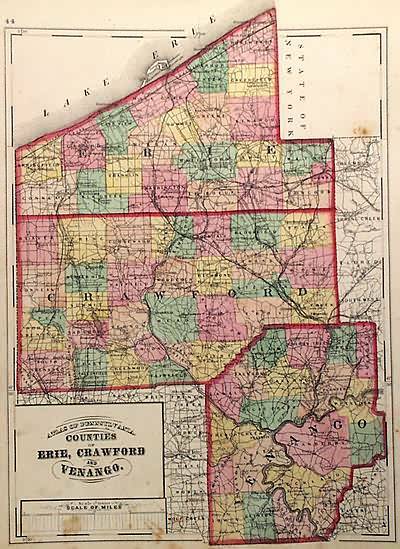 Art Source International is proud to offer this map from the 1859 edition of Coltons General Atlas. 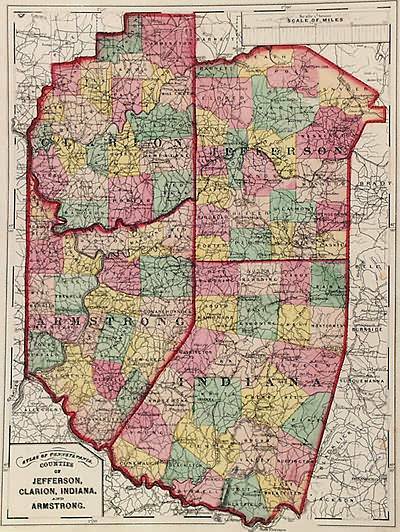 Colton atlases, especially those from the late 1850’s, have become increasingly rare. 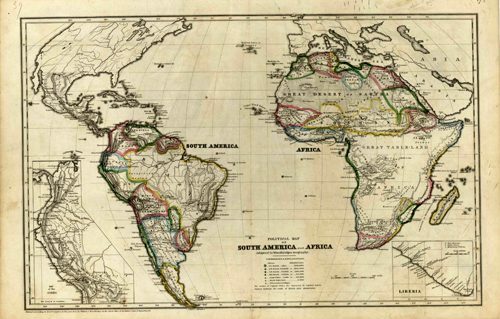 The General Atlas was the first single edition atlas published by the Colton brothers succeeding the expensive two volume Atlas of the World. 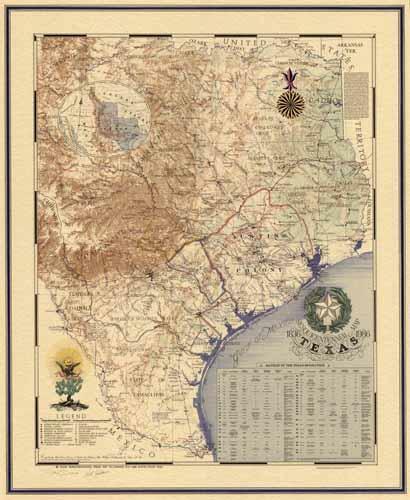 These maps have the signature ‘ inch Colton border surrounding each map. The Colton firm refused to compromise quality, choosing to compete for sales in the finer quality international market rather than the cheap domestic one. Because of this, all maps were engraved by steel plates rather than by wax engraving which was the most common method used at this time. 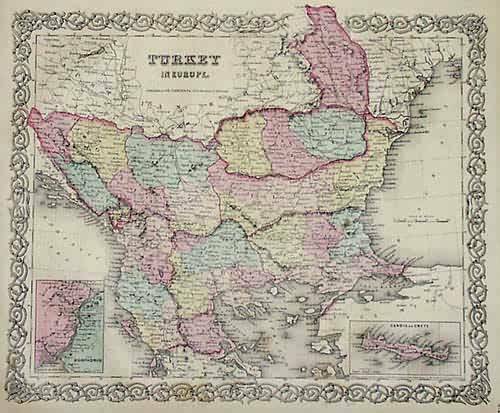 This map of Turkey in Europe includes two inset maps of The Bosphorus and Crete and is very detailed with identification of counties, cities, common roads, mountain ranges, rivers and creeks. 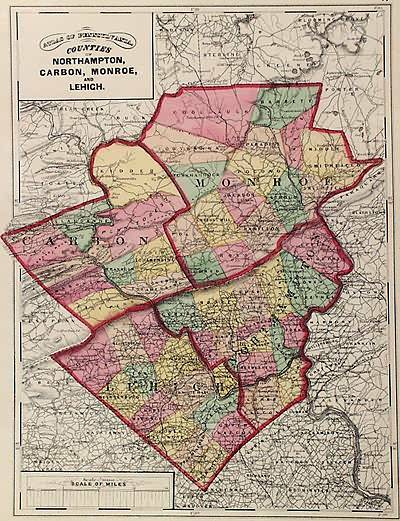 Each map has beautiful muted red, green, tan, pink, and yellow hand coloring. 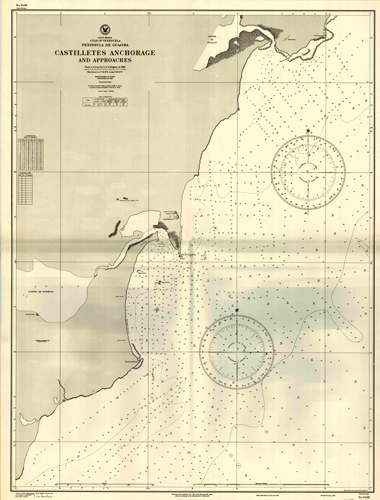 Map Maker: J.H. Colton & Co.